One of the 4 – count ’em, 4 – guitarists is wearing some crazy pink and gray shorts that look like something your uncle would wear to a pool party. Last weekend I went to the “Ohio River Throwdown” concert. Multiple bands on three stages over the course of almost 12 hours. Most of the bands had a roots/blues/Americana vibe to them, with a couple of brass bands thrown in for good measure. In the past I wasn’t a fan of the multi-stage format, as I felt it forced you to make “split the baby” decisions about which bands to see and which to skip. But now I’m warming up to the format, as it allows you to try a sampler platter of music from bands you may not have seen before. 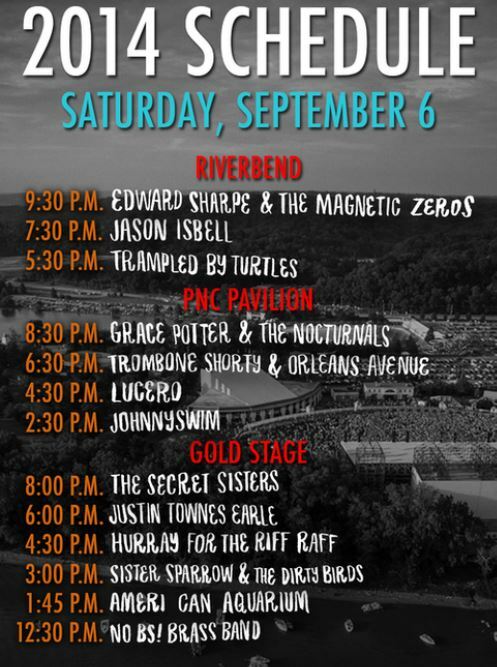 I went down thinking I’d skip Trombone Shorty in favor of Justin Townes Earle, as I’m much more familiar with JTE’s catalog, and not necessarily a brass band/horns kinda guy. But I went over to check out Trombone Shorty and wound up staying for his entire set because the energy level was so good. Those N’awlins folks really know how to party. The highlight was Jason Isbell and his band – they’ve been touring a ton and sound stellar. I also really enjoyed the sets from Hurray For The Riff Raff, American Aquarium and Johnnyswim. 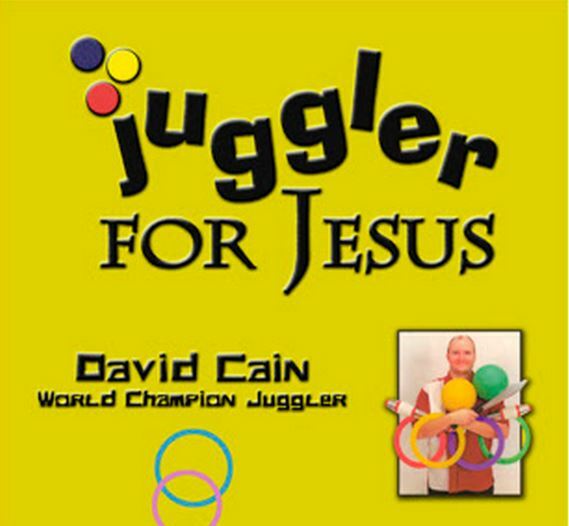 He’s good, but not as good as the Acrobat for Allah, the Yo-Yo-er for Yahweh or the Baton Twirler for Beelzebub. 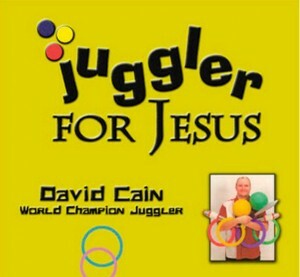 I’m just glad he’s not a juggler for Jehovah. Then he would perform door-to-door, whether you wanted him to or not, and he wouldn’t leave until you took a copy of his magazine. 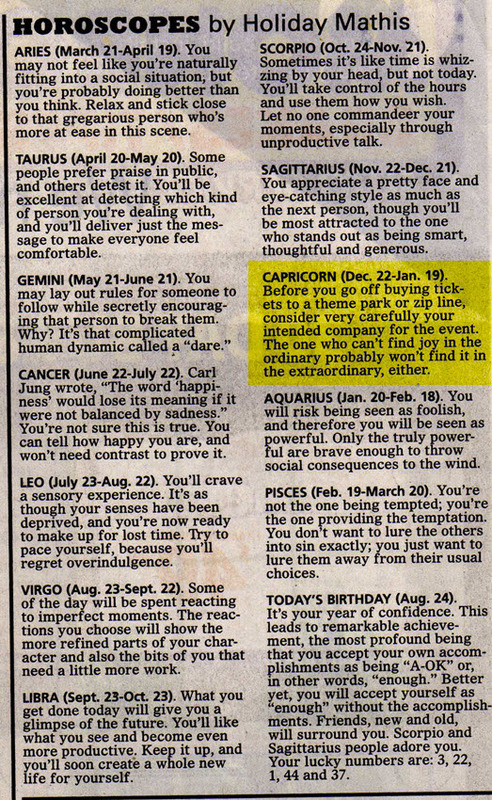 So apparently on that Sunday, every Capricorn in America was thinking about going to Six Flags or Cedar Point or a zipline course. What’s the chances? And they were thinking about taking their wet blanket of a friend/relative, apparently. Love the tone of it too, almost like a scolding mom. For the record, I wasn’t planning to go to a theme park or zipline. I went skydiving. With my depressed friend. He hated it.